Did CARA Data Reveal Pope Francis Failed? CARA primarily studies Catholics and the Catholic Church in the United States. The following data “suggest” that any survey data about Catholics in the United States from CARA could not possibly be appropriately used to judge whether Pope Francis has failed. The data reviewed in Schmitz’s piece measure approval of the pope (positive), frequency of Mass attendance (essentially unchanged), and Millennial’s participation in Lent (declined, while generally remaining stable among the total population) in the United States. 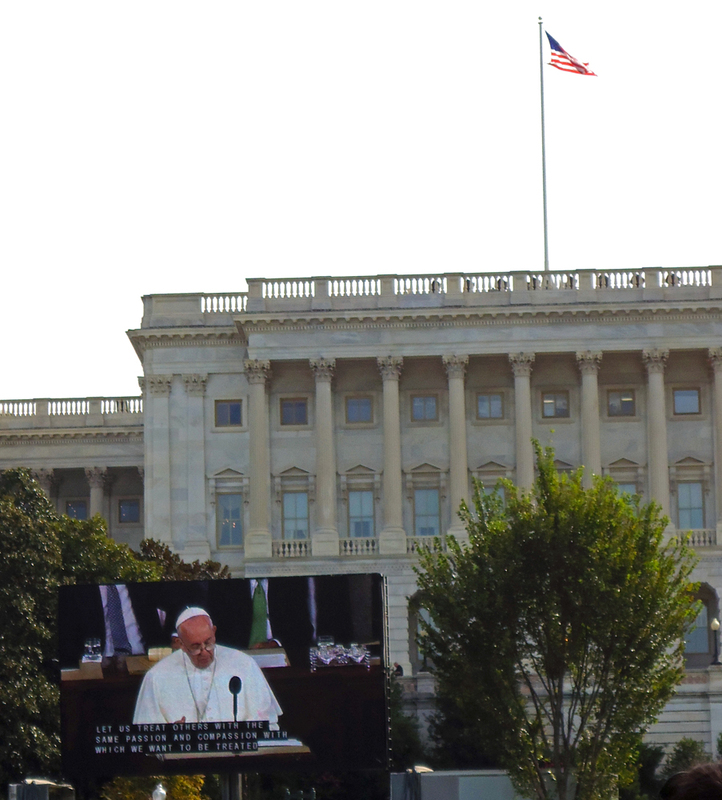 I do not have the space in a blog post to list and detail all the other numerous possible indicators that could be used to measure a pope’s success or failure in the United States (and elsewhere). You can find a few in the original CARA blog post Schmitz read (which never mentions Pope Francis). Anyone can grab three stats and write an opinion piece (…and apparently get it published in The New York Times. Who knew?). For example, I could note that in 2005, when Pope Benedict started leading the Church there were 431 diocesan ordination in the United States (…again forget that the rest of the world exists). In 2015, with Pope Francis leading the Church there were 548. Electing Pope Francis has clearly made the Catholic Church more successful at ordaining priests in this single country (by 27%). Pope Francis is 79. I’m not sure how long his papacy may last. 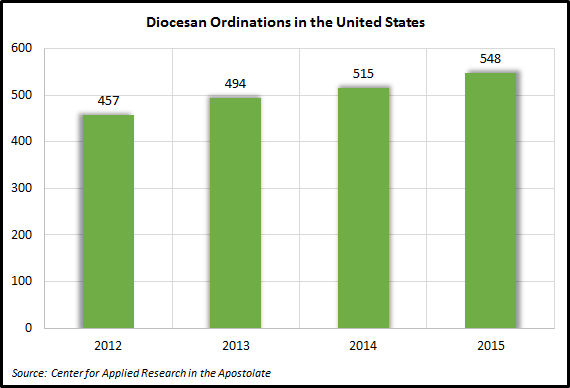 However, if he can remain in office to mid-century and continue the trend shown in the data below then CARA research “suggests,” that there will be a whopping 1,577 diocesan ordinations in the United States in 2050. Francis Effect confirmed! No? You need more data? 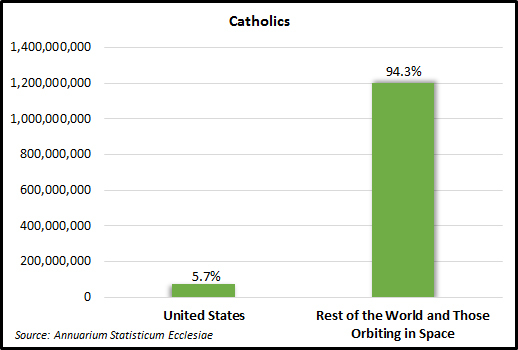 If essentially beginning to reverse the American decline in priests is not impressive enough look at the figure below. Since Pope Francis began to lead the Catholic Church fewer Catholics in the United States have been dying. Pope Francis did the best in 2014 with only 391,131 deaths compared to 403,886 in 2012 (a decline in mortality of 3.2%). You are probably alive today because of Pope Francis. 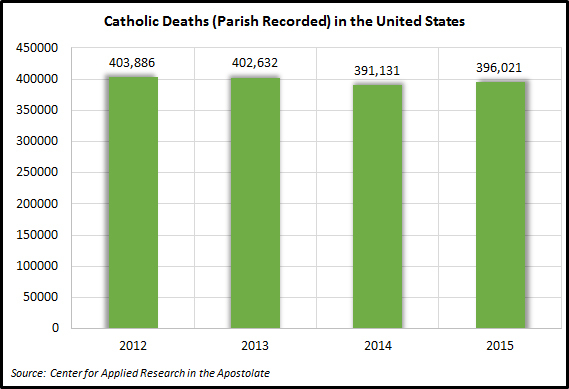 The data above “suggests” that if Pope Francis is able to continue leading the Church through the year 2128, Catholics will essentially be immortal in the U.S. (I’m sure Catholics elsewhere in the world will be fine too). Need a third measure? Since you apparently only need to cite three different types of research to be published in The New York Times… The number of American parents naming their sons Francis has risen dramatically since Pope Benedict XVI stepped down. According to the Social Security Administration, from 2008 to 2012, the average popularity rank for the name Francis was #643. Under Pope Francis it has risen each year and averaged #488 and in 2015 came in at #482. If Pope Francis can continue to serve into 2030, in all likelihood, Francis will be the #1 name for boys in the United States. In all seriousness now, after reading Schmitz’s piece I felt CARA needed to clarify that its data do not “suggest that there has been no Francis Effect.” There is not even any point or logic to asking if Pope Francis has failed in 2016. Schmitz notes, “Perhaps it is too soon to judge?” You think? Further, focusing on a few bits of data from the United States alone to measure a Pope’s failure in leading a global Church seems remarkably insufficient. We’ve posted some global data here in the past. One of the biggest challenges is the lag in data availability. For example, the most current Vatican statistics are for 2014. Someday in the future, after Pope Francis has served more than a few years it will be possible to review data about the world’s Catholics and fairly ask if Pope Francis has succeeded or failed in many things. I can guarantee that there will be Church data that turn negative, some that are unchanged, and others shifting positive. The Pope absolutely does not function as the Catholic Church’s C.E.O. as if he is running Wal-Mart (we’ve covered this before). Instead, the Church continues to operate in a quasi-feudal manner with heavy doses of decentralization and autonomy for local leaders. Pastors are responsible for parishes, bishops for dioceses, and the pope for a global Church. Administrators run Catholic hospitals, deans lead colleges, charities are run by executives. With that said, there is indeed a map room where Pope Francis is saying, “Close that school. Open a parish here. Does that charity have enough in their food bank? How is that parish’s new marriage preparation team doing? How many candidates am I interviewing for the new surgeon at this Catholic hospital?” That room is in Frank Bruni’s head and not in Vatican City. You’ve likely heard the phrase “All politics is local.” Catholicism in many ways is as well. The Pope’s impact is most often felt in broad agenda setting—emphasizing the most important issues as he sees them. Popes are most effective at this when they are well liked. Go back and take a look at how pessimistic journalists and commentators were about the future of the Church before the selection of Pope Francis. For example, Paul Elie suggested in a New York Times opinion piece that it was time to give up the Church. He writes, “We are resigned to the fact that so much in the Roman Catholic Church is broken and won’t be fixed anytime soon.” Did anyone writing before the selection of Pope Francis imagine that the next pope would be named Time’s Person of the Year (for good reason) or for that matter that he would also appear on the cover of Rolling Stone in short order? Throwing a stone is writing an Op-Ed asking “Has Pope Francis Failed?” in The New York Times and then declaring “there has been no Francis Effect” with insufficient empirical evidence. Pope Francis should not be judged a success or a failure with the assistance of a few pieces of survey data that actually show mixed trends in one country. In time we will be able to ask and answer whether Pope Francis has failed. I have no problem with Matthew Schmitz asking that question when that time comes. The part of that answer that is grounded in data should come from researchers (understanding margins of error, statistical significance, etc.) examining the global church rather than a literary editor who somehow got his personal gripes about Pope Francis published in The New York Times. So when that happens we’ll finally have a pope who hasn’t failed? Millennials will finally be slightly more likely (beyond margin of error) to receive Ashes on Ash Wednesday in the United States. Catholics in places like Nigeria, Vietnam, Mexico, and all over the world will be in such awe that their pope can finally reach American Millennials and convince them to go to Mass on a day they have no obligation to do so.